From left: Alan S. Inouye, director of ALA's Office for Information Technology Policy (OITP); ALA President Julie B. Todaro; Digital Content Working Group Cochair Erika Linke; Carrie Russell, director of OITP’s Program on Public Access to Information; Digital Content Working Group Cochair Carolyn Anthony; and ALA President-Elect Jim Neal. 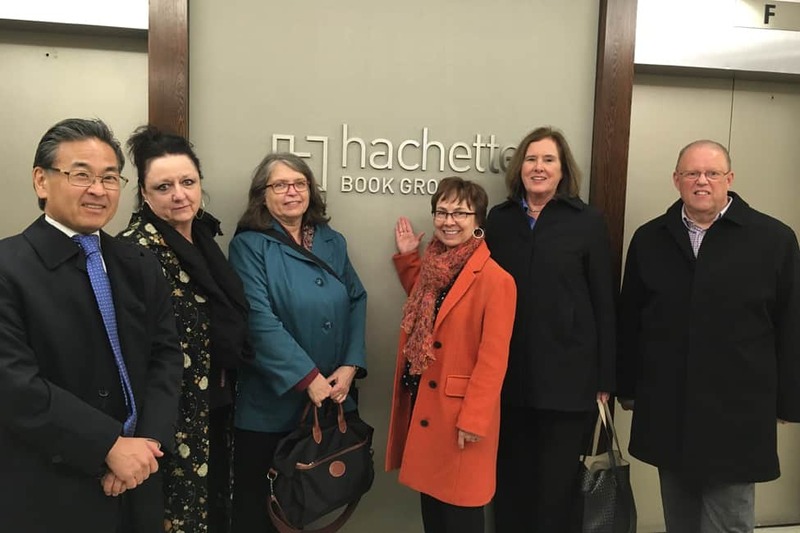 On February 21, American Library Association (ALA) President Julie B. Todaro led a delegation to meet with publishing and library organizations in New York City. Unlike similar previous trips, however, this year’s visit had a distinctly different tone, given the current political environment. Todaro was joined by ALA President-Elect Jim Neal; Carolyn Anthony and Erika Linke, cochairs of ALA’s Digital Content Working Group; and Carrie Russell and Alan S. Inouye of ALA’s Office for Information Technology Policy. They met with leaders at Penguin Random House, Hachette Book Group, the Book Industry Study Group, Metropolitan New York Library Council, and Brooklyn (N.Y.) Public Library. As with previous visits, ALA pressed the case for more options on ebook licensing models. Pricing remains high for many titles, especially bestsellers—such as $76 per e-copy for George Saunders’s Lincoln in the Bardo (Random House, 2017) and $84 for James Patterson’s Never Never (Little, Brown and Company, 2017). In addition, many publishers, and the Big Five in particular, offer only one licensing option. While a perpetual license, 26-loan license, or two-year license may be a reasonable business model for some titles for some libraries, the model is hardly optimal for all. For example, a perpetual license (and its corresponding high price) is far from desirable to support a public program, book club, or initial high demand of a new release. Publishers listened and talked about the market’s evolution. They indicated that they are open to proposals. 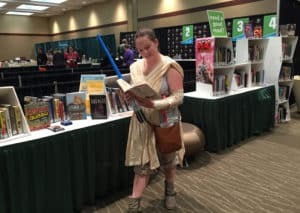 If the library community is to make any headway, it will need to put its collective head down and do some hard research, make proposals, and come up with a new advocacy strategy, perhaps involving grassroots engagement. The current divisive political environment was prominent on the agenda during the meetings. The publishing industry and library community have a longstanding common purpose to promote reading and literacy, free speech, and equitable access to materials. Both sectors have professional norms for clear, substantiated, and logical writing. One idea that received interest is the development of and consensus on common principles for the digital age. This principles project will be an initiative of ALA going forward. ALA also proposed a possible collaboration involving an upcoming film project (more details to come as they are available). Libraries would offer related titles via a limited-term ebook license and associated programming. This idea also received interest from the publishers and is under further consideration. The theme of this project would encourage substantive and thoughtful engagement on tumultuous times. The visit to the Brooklyn Public Library was a highlight. Discussions with the library’s executive team centered on the library and plans for its future as well as the developments in Washington and implications for all libraries. Meeting with these publishing and industry leaders showed that although some problems still need to be addressed, the library community and publishers can also identify opportunities and prospective collaborations for the future. These two groups share common values and goals relative to their respective roles in reading and literacy. For the months ahead, this fundamental bond may prove to be most important of all as our profession seeks out and relies on allies in library advocacy on all fronts. ALAN S. INOUYE is director of ALA’s Office for Information Technology Policy.